The woman is sitting on a raised platform in an alcove to the side of her living room. With a chopping board in front of her, she cuts vegetables into small pieces and slides them into a metal pot. Her headscarf and jacket almost match the colours and pattern of the rug beneath. If you had to guess, based on her appearance, where she is from, you might suggest somewhere like Iran. But, no, this is China. Officially, that is. Two young boys play on the rug next to woman – grandchildren, it turns out. Like her, their features are not what you would expect to find in China. But this isn’t an ordinary place. 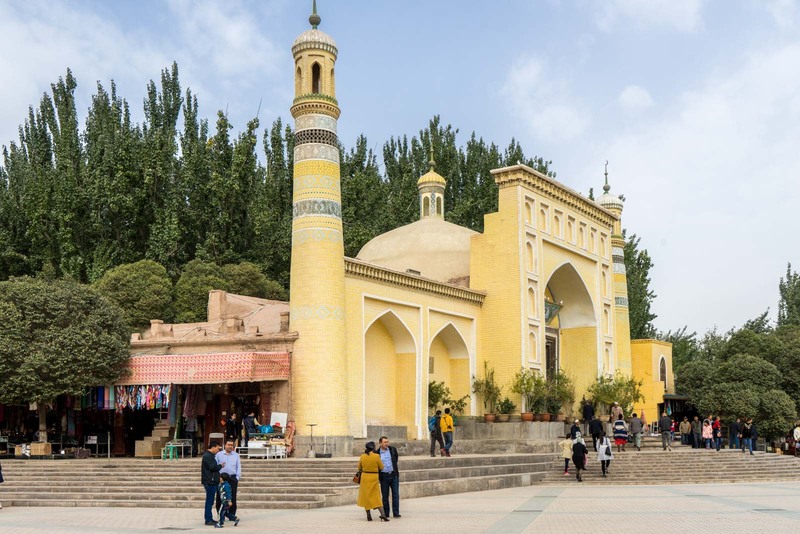 This is Kashgar, the most western city in China, about 200 kilometres from the borders of Kyrgyzstan, Tajikistan, Afghanistan and Pakistan. 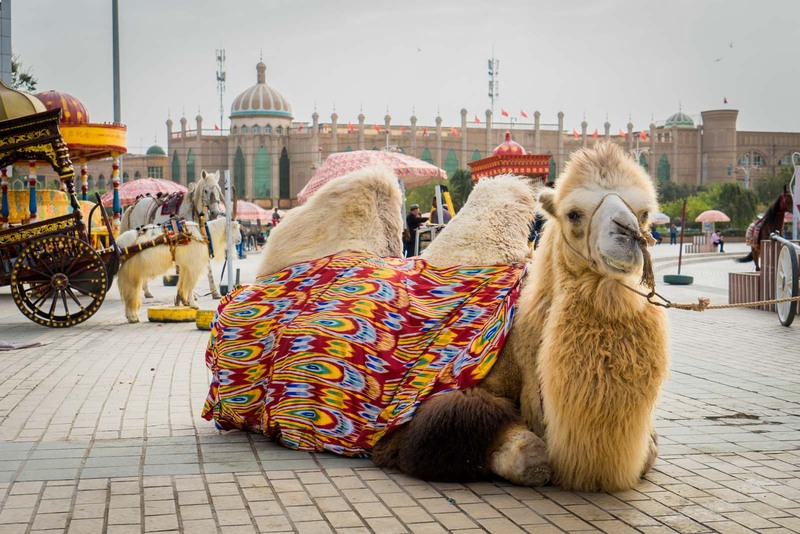 Kashgar was a key city along the Silk Road, the network of trading routes that connected Asia to Europe for centuries. What makes it so fascinating today is that the atmosphere has hardly changed. 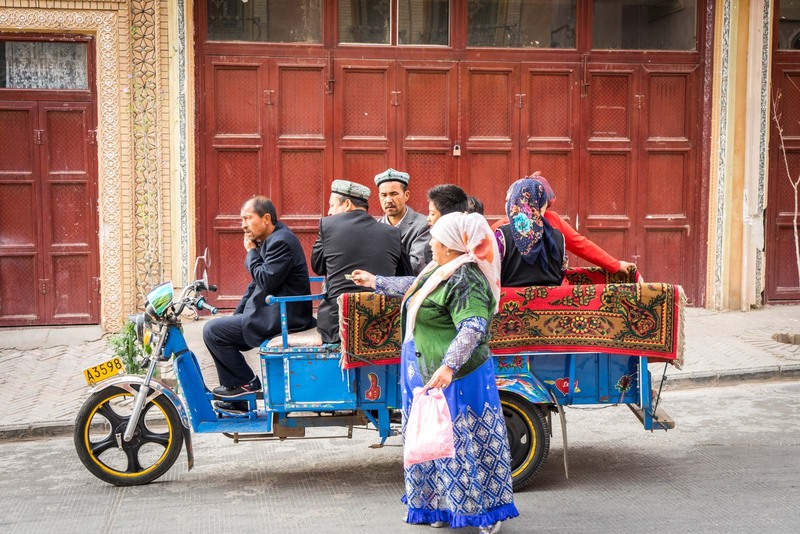 Arriving in Kashgar is like emerging from a time machine. The streets seem slightly dusty, as though caravans of camels have brought the desert in with them. 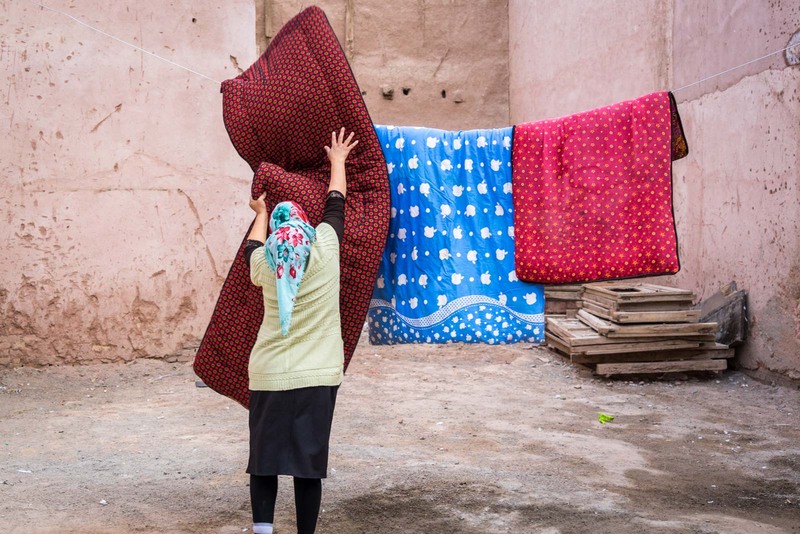 Minarets of mosques rise up from behind bazaars; stalls on the footpaths sell dumplings; carpets are hung outside houses to air; old men sit and play games on boards that look even older. 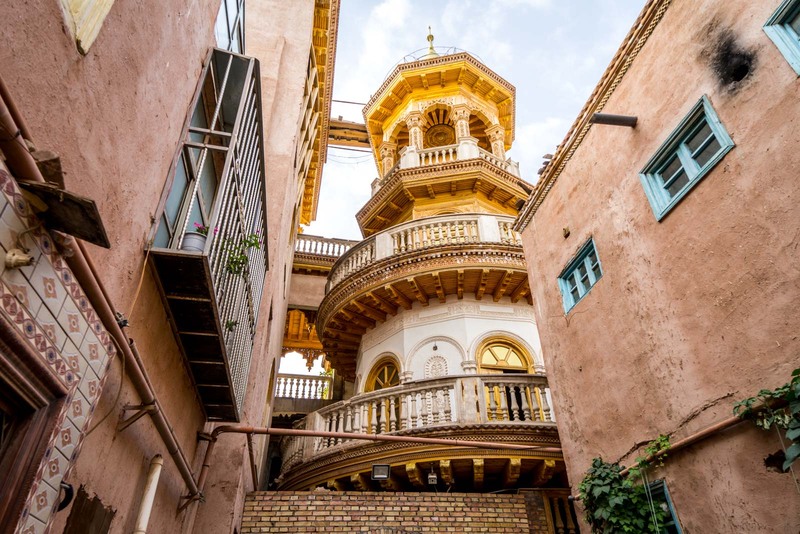 Nowhere do you get the sense of this Silk Road history more than in the historic Old City of Kashgar. The community was built here behind raised walls to provide protection and inside is a warren of more than two hundred streets and alleyways that bend their way through residential and market areas. In the narrow alleyways, you can sometimes feel a bit trapped, especially if a group of playing children suddenly rush past or you need to squash up against a wall to let a cart go by. It is also very easy to get lost, although that is probably necessary to get away from the tour groups that don’t seem to venture too far in. 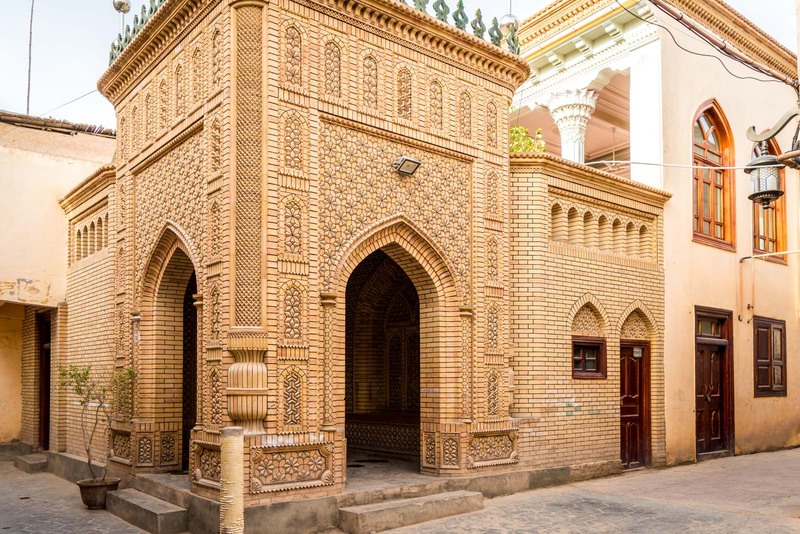 But, unfortunately, nowhere do you also get a better sense of the impact of modern China than in the historic Old City of Kashgar. Although it looks old, most of the this area was actually knocked down around 2009/2010 by Chinese authorities and rebuilt in the same style. There are mixed thoughts about this reconstruction project. The official government reasoning was that the buildings were so old that they were dangerous and thousands would be killed if there was an earthquake, for example. Most of the old buildings didn’t have proper plumbing and electricity so there were definitely residents that saw an upside to the change. 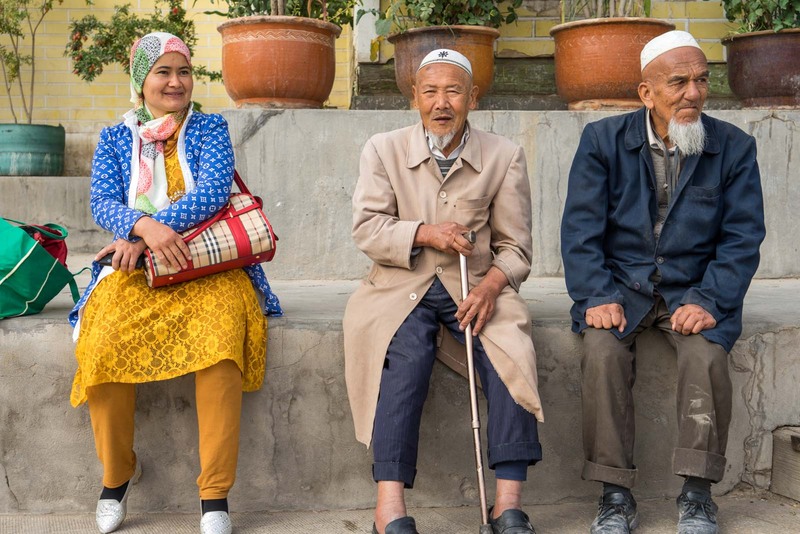 On the other hand, many were upset that the real history was being razed and that the government perhaps had other reasons for the reconstruction (such as controlling ethnic tensions in the region). There is a feeling amongst some that a genuine piece of heritage is now just a glossy tourist attraction that is about style rather than substance. From the perspective of a tourist in 2016, I am unsure what my opinion is exactly. Some things are unsettling – such as the big entrance gate that hosts an ‘opening ceremony’ each morning where actors dress up and perform for the assembled tour groups (I use the opportunity to slip into the main streets while it’s happening and start taking some photos before it gets too crowded). 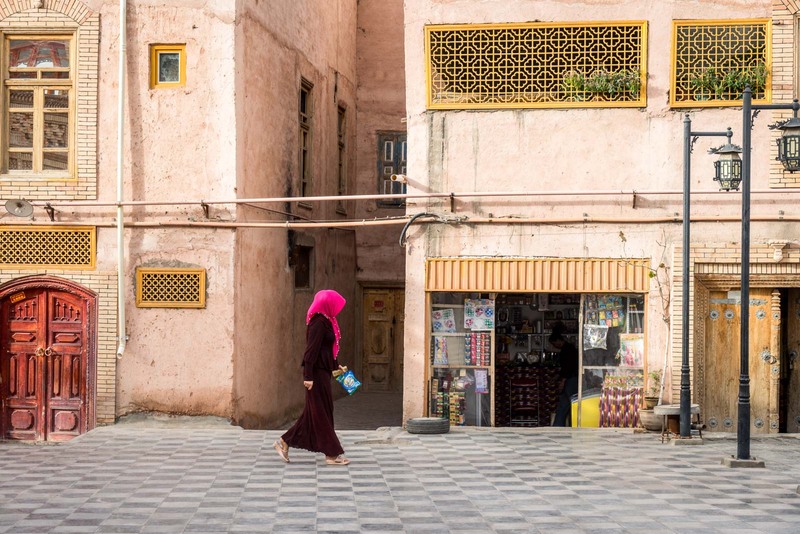 But, at the same time, I find a lot of authenticity in the Old City that still reflects what Kashgar was… and is. Buildings are just a small part of a city. What makes a community are the people who live within those walls. In this case, they have largely not changed and they keep with them the heritage that has been passed through the generations. I see the people in the streets and in the house I have been invited into. They are not part of a glossy tourist attraction – they are living their lives (albeit in the glare of tour groups). They cook the same cuisine, they wear the same style of clothes, they speak the same language (usually Arabic). 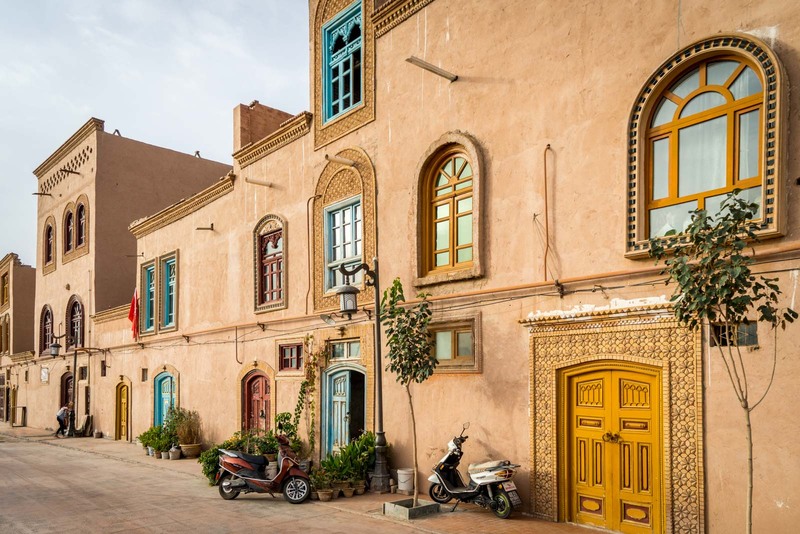 On the hunt for the Silk Road of old, you’ll find modernisation in most places from the east of Asia to the west of Europe. It shouldn’t be surprising or disappointing. 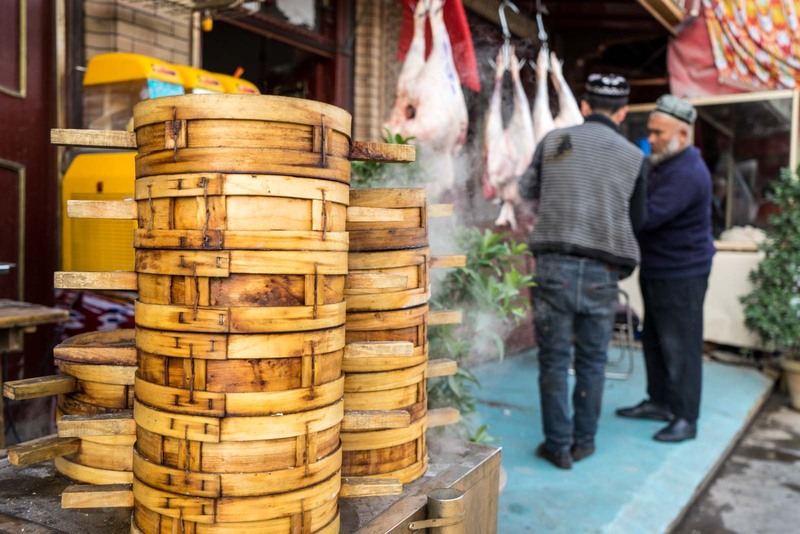 That Kashgar has retained so much of the tradition and culture of the old trading days should be celebrated, even in its imperfection. Really nice place, by the way…. how many days do you recommends to stay there? Or its one day trip? You will probably need at least a couple of days there to make the most of it. Because there’s such an effort involved in getting in and out, you’ll probably not want to rush the visit. Thanks, fo your reply Michael! This is an interesting insight, you could say the same for the native indians in north america and the aborigines in australia, and some ethnic groups in new zealand or parts of europe. Its difficult to complain and compare past and present. Is it really for the outside world to protect something ‘ancient’ so they can ogle at it, for their entertainment or as a reminder of an epoch when everywhere else has already changed? It may have been easier for tourists to make an assessment because we can just come and go as we please. How about the local economy that can’t keep up or even have the basic amenities that others enjoy? These are difficult things to think about if you ask me. They speak the same language (usually Arabic) !!! !